It is a common misconception that children cannot wear contact lenses until they reach their late teens however, with advances in modern contact lenses, this is no longer the case. We regularly prescribe children's contact lenses at Silverman Opticians to children under the age of 12 to help restore clear vision. Is my child suitable for Children's contact lenses? Children’s contact lenses are safe and comfortable for young children to wear. Our committed team of expert optometrist’s will be able to recommend the most suitable lenses for your child. Our skilled staff will talk your child through how to insert and remove their lenses and look after them. Contact lenses can make a great alternative to spectacles for children for a number of reasons. Perhaps your child hates wearing their spectacle because their friends tease them. Contact lenses may help to improve their confidence and significantly improve their self-esteem. 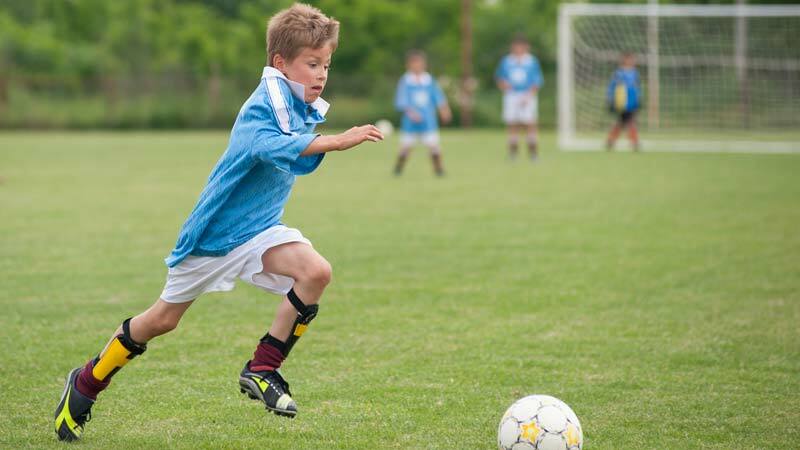 If your child is into sports, their spectacles may be a potential hazard. Children with moderate spectacles corrections often cannot see clearly beyond a metre without their glasses and this can impair their performance. We can show you what your child sees without glasses to give you an understanding of how they manage when playing sports. Children's contact lenses can help to improve their hand eye co-ordination and safely improve their game. Our trained optometrists will talk through the options with you and your child to make sure your child receives the best care and advice to make the right eyewear choices. If you and your child would like to consider contact lenses, please contact us for more information.